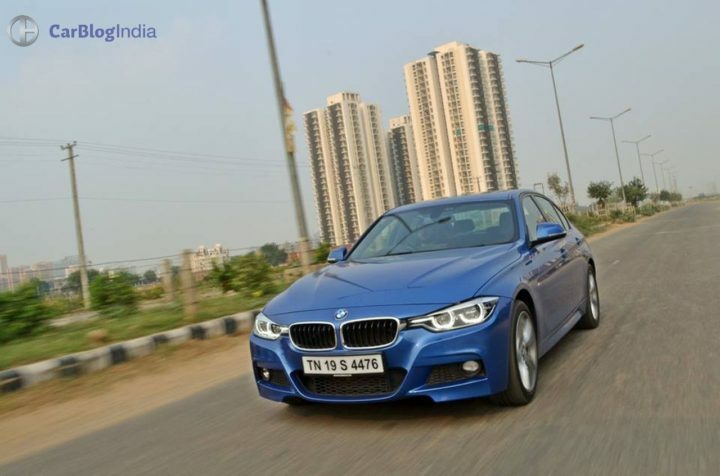 The 3-Series has been the yardstick to measure the performance quotient of all executive sedans with sporty aspirations. The 2016 BMW 320d M Sport, which comes with a brawny TwinPower Turbo four-banger mated to a ZF-sourced 8-speed Sport Automatic transmission, gets you two cars for the price of just one – a powerful ‘cornering genius’ that can satisfy serious performance junkies and a sufficiently tractable, feature-laden luxury sedan that can tackle the grind of daily commute. The F30 3-Series has always been a good car, but the new 2016 M Sport model makes it even harder to ignore! 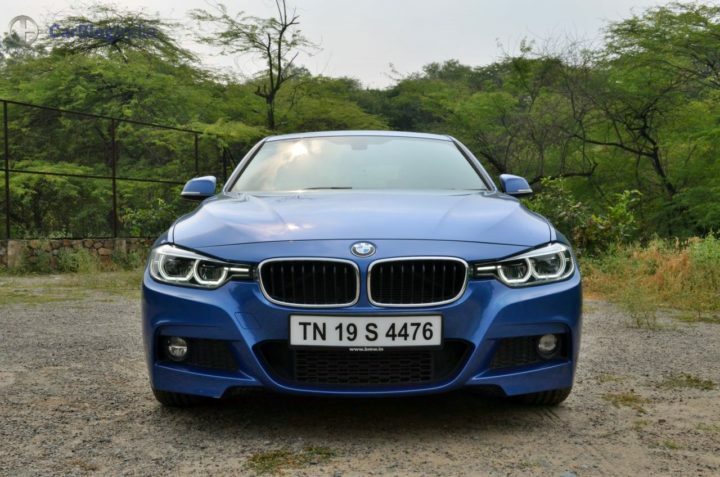 It is here, in this BMW 320d M Sport review, where we’ll talk about our rendezvous with a racy Estoril Blue 320d M Sport that helped us reacquaint ourselves with the sporty-yet-comfortable cars that Bimmers have always been. The 3-Series sedan, over the years, has been successfully showcasing not just the sporting capabilities but also the aesthetic appeal of BMW. While the latest generation 3-Series is longer, wider and taller than its predecessor, it still manages to look as athletic and elegant. The wedge-like silhouette and a wide track go on to play a key role in accentuating the sportiness of this Bimmer’s design and there’s enough to stop people dead in their tracks and shower admiring glances. 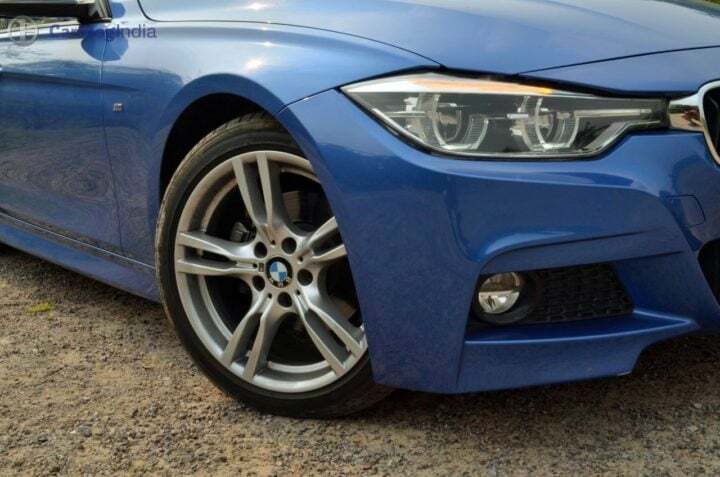 The M Sport line brings to the 3’er many new bits that emphasize the dynamic form of the 3-Series. The front-end gets some interesting details such as a revised bumper that gives a sporty and an alert look to the car’s nose. 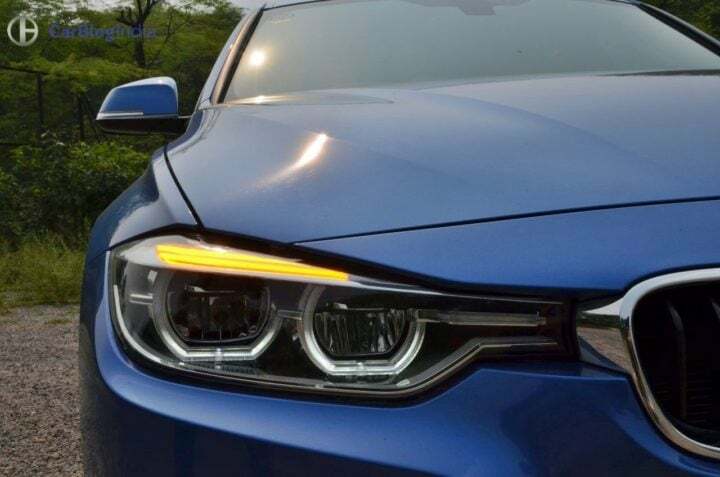 The grille, too, is new and the 2016 320d M Sport gets LED headlamps with LED DRLs as standard equipment. Complementing the athletic looks of this car are the very tasty double-spoke 18-inch lightweight mag wheels that come shod with 225/45-spec rubber. There is high-gloss black finish for the B-pillar and the window-line. Some black trim for the rear, along with tailpipe embellishment rounds off the updates for the exterior. Step inside the BMW 320d M Sport and you are greeted with a very stylish cabin that comes draped in black. Thanks to the ‘M Sport’ credentials, there’s (fortunately) no beige with wood combo and instead, you get Carbon Fibre inserts to spice things up. 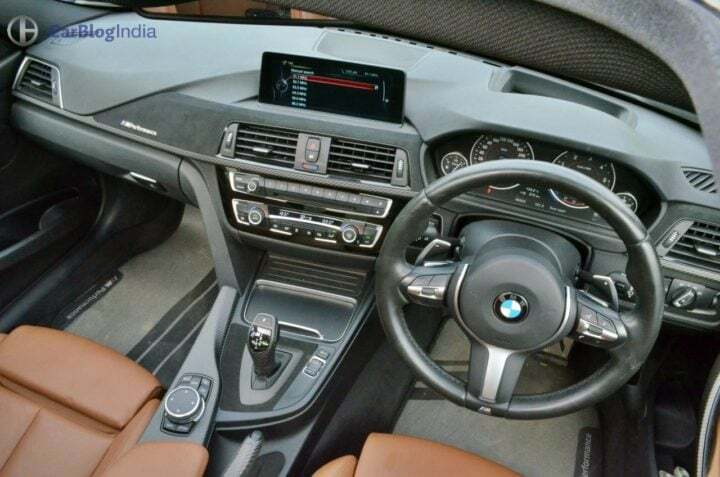 The sportiness quotient of the cabin is further enhanced by the M3-like steering wheel, tan leather upholstery and some Alcantara on the dashboard. The 320d M Sport also gets sports seats at front, which work well to hold you in place while pushing hard thru a corner. Further underlining the sporting ambience of the cabin are small details such as the calibration for the tacho, which starts with a ‘Ready’! (Now, how cool is that!). Think again if you ever thought that the 3-Series has got tamer with time! Powering the 320d M Sport is a new 2.0-litre, four-cylinder oil burner that is force-fed by a twin-scroll turbocharger to cough up 190 healthy horses and 400 torques in the Newton measurement system. The new four-cylinder engines for the 3-Series pay homage to the origins of the 3’er – it was with high-strung four-bangers that 3-Series was born back in the 70s. The latest turbo’ed motor, in line with the athletic character of the BMW mid-sizer, offers a healthy power/torque output, responsive acceleration, a high rpm ceiling and relatively low fuel consumption. 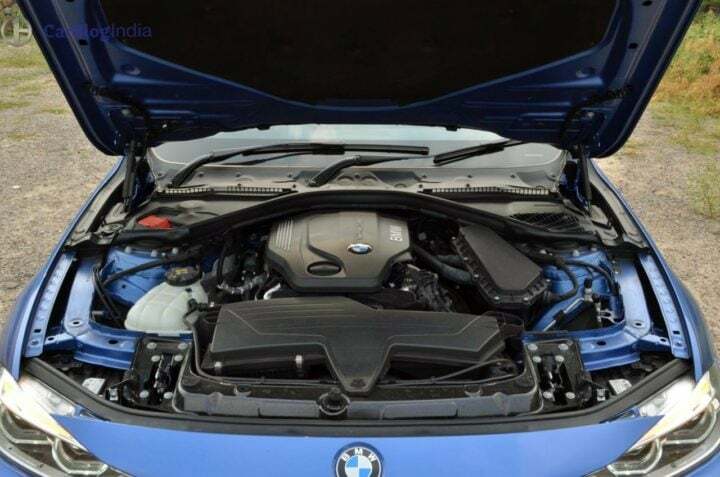 The engine benefits from BMW’s TwinPower Turbo machinery, which comprises modern-day technologies like twin-scroll turbocharging, direct injection, double-Vanos variable camshaft timing and variable valve timing. Mated to this new-age engine is an equally modern ZF-sourced 8-speed Sport automatic transmission. 0-100 KMPH timing is now claimed at just 7.2 seconds. On the move, the 320d feels as vigorous as the numbers on the spec-sheet suggest it to be. Going by the company figures, the 320d M Sport can dismiss 100 km/h from standstill in just 7.2 secs and go on to hit an electronically-nannied top whack of 250 km/h. However, what the manufacturer doesn’t tell you is the way this car enjoys an almost linear power delivery and charges forward with ferocious velocity. Also, thanks to the abundance of torque throughout the rev-band, this 3’er makes for a great mile-muncher. Easily expect up to 15-16 KMPL under regular conditions. 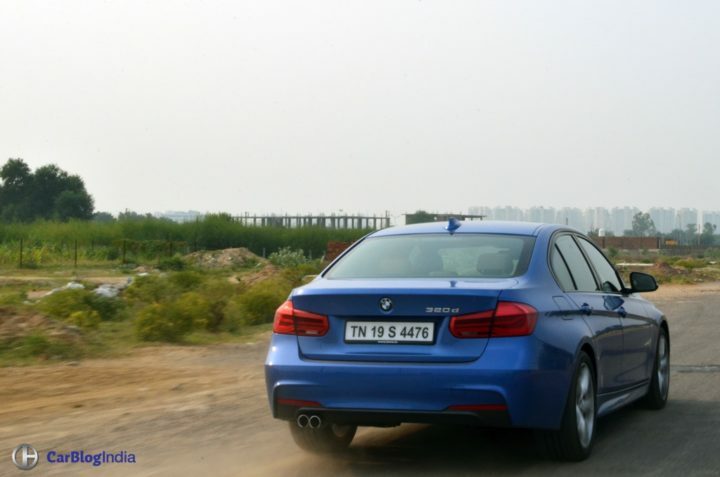 Akin to its predecessors, the current generation 3-Series too excels in terms of dynamism. Underpinning this core value is an avant-garde chassis that benefits from usage of lightweight components. The engineers at BMW have made good use of sophisticated axle kinematics and a steering system that has a precision of Swiss clockworks. In ‘Sport’ mode, the steering weighs up pretty well with speed and offers sufficient feedback. Also, a rear wheel drive (RWD) layout ensures there’s no torque steer. Lest we forget, the ride quality is pretty good too. True, those bigger wheels and the lower profile tires have resulted into a slightly firm ride, but drive the car in ‘Comfort’ mode and the occupants, on most occasions, won’t really have a reason to complain. The 3’er has never offered the proverbial ‘magic carpet’ ride and the 320d M Sport is no different in this aspect. For the 2016 model, BMW has employed stiffer springs. However, the manufacturer has made sure the ride quality doesn’t suffer by a significant margin. The end result? Sharper handling and a ride quality that’s not much different from the outgoing model. Also, a slightly harsh ride is only a small trade-off for unparalleled corner-carving prowess, no? We’ve always liked the current, F30, 3-Series for the good mix of performance and luxury it offers. The 2016 320d M Sport, however, makes it all a wee bit better. True, there are slightly better (read: more comfortable) options for the chauffeur-driven, but there’s absolutely no other car that’s as fun to drive and yet, as comfortable and, in this case, even as economical. 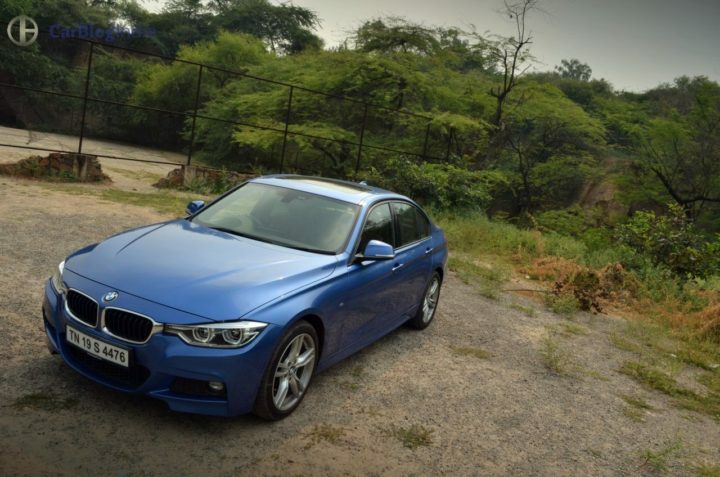 So, what do you have to say about our BMW 320d M Sport review here? Do share your views by penning them down in the comments section below and do stay tuned for more such reviews.